Simply Stylin' Light Silk Spray is made of high quality, pure silicones with many benefits for wigs and hair extensions! Light Silk Spray is very light in a formulation that can be sprayed very simply just on the ends of your wig or hair extensions. Apply Light Silk Spray as a mist for light coverage. Because it is so light, it can be reapplied throughout the day for extra shine and added softness. Be sure to use just a little and avoid using it on the wig cap. 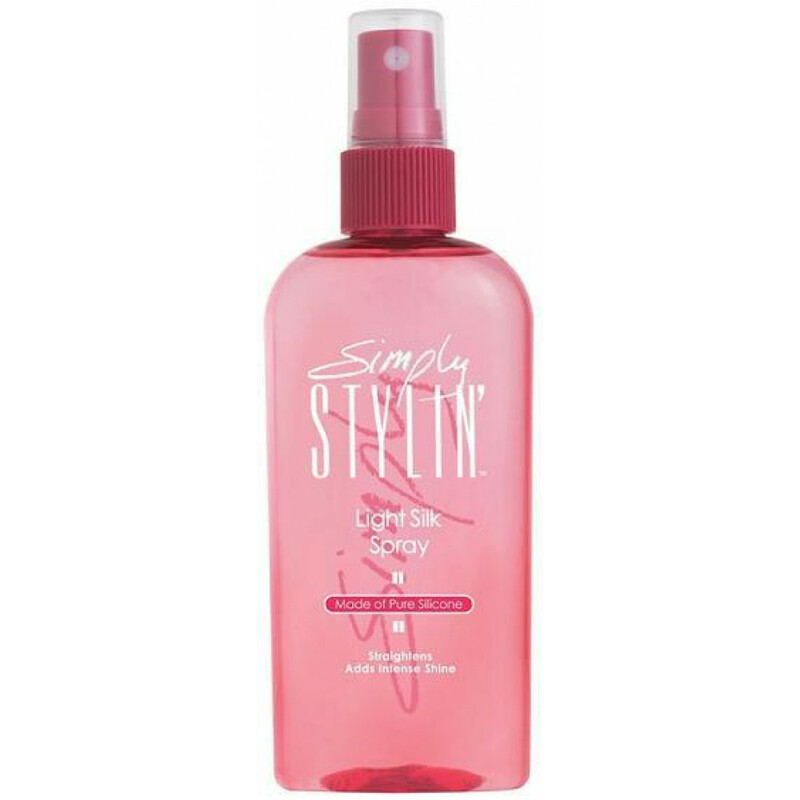 Simply Stylin' Light Silk Spray is perfect for synthetic and human hair wigs. It's even great for bio hair, if you want to improve manageability of your own hair. Simply Stylin' is also made in a thicker serum, which is perfect for using on your wigs and hair extensions after shampoo, and is perfect for protecting and revitalizing curls and waves. Simply Stylin' Silk Serum is made of high quality, pure silicones with many benefits for wigs and ha..